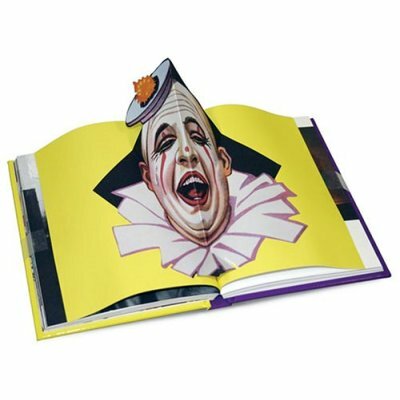 This is a small fun book of over 80 photographs of clowns in a slightly scary or macabre mode. Not all of them are scary, but enough to give those with coulrophobia a moment of pause. A fair amount of the photos are classic, but there’s also a bunch of other photos that I hadn’t seen before. It’s definitely a great gift for the clown or clown collector among you. The center of the book has a very cool 3D pop up (pictured). I can recommend this book! Clowns Without Borders South Africa- New website!